In recent years, permanent magnet materials have developed rapidly, and there are many kinds of permanent magnet materials. The most common types are ferrite permanent magnets, Al-Ni-Co permanent magnets, and Nd-Fe-B rare earth permanent magnets. 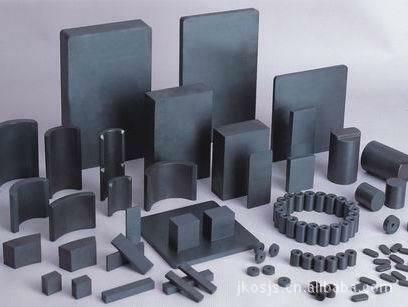 The outstanding advantage of ferrite permanent magnet material is that it does not contain rare earth elements. And cobalt, nickel, and other precious metals, low price, simple manufacturing process, high coercivity, strong anti-magnetic ability, low density, lightweight. However, the ferrite permanent magnet material is hard and brittle, and it can not be processed electronically. The motor produced is of low power and low efficiency. Aluminum-nickel-cobalt permanent magnets are characterized by the low-temperature coefficient, high residual magnetic induction, and low coercivity. They are easy to be magnetized and demagnetized, but contain cobalt, which is a precious metal, so the price is very high. Neodymium rare earth permanent magnets have become the main force of permanent magnets because of their excellent magnetic properties, and their magnetic properties far exceed those of ferrite, Al-Ni-Co, and other magnetic materials. Up to now, the residual magnetic induction strength of the new generation of NdFeB permanent magnets has reached 147 T at room temperature. The maximum intrinsic coercivity sclera can exceed 1 000 kA/m, the maximum magnetic energy product (BH) can reach 398 kj/m, which is 5-12 times of ferrite permanent magnets and 3-10 times of Al-Ni-Co permanent magnets. The disadvantage of Nd-Fe-B permanent magnet material is that Curie temperature is low, the magnetic loss is large, thermal stability, corrosion resistance and oxidation resistance are poor when it is used at high temperature. Therefore, the surface of Nd-Fe-B permanent magnet should be coated according to its working environment to meet the requirements of the vehicle environment. The magnetic and mechanical properties of Nd-Fe-B rare earth permanent magnets are obviously higher than those of ferrites and Al-Ni-Co permanent magnets. Permanent magnet synchronous drive motor (PMSM) can be divided into the surface type and built-in type by installing permanent magnet steel on the rotor. Surface type can be divided into the surface-mounted type and embedded type. According to the excitation direction of permanent magnet steel, the built-in type can be divided into radial type rotor structure, tangential type rotor structure and permanent magnet rotor structure with hybrid magnetic circuit integrating radial and tangential direction. After the magnetization of the samarium-cobalt magnet, the water molecular bond of common water will be deformed at the same time. The hydrogen bond angle decreases from 105 degrees to 103 degrees, which changes the physical and chemical properties of water. The activity and solubility of water will also be improved correspondingly. CaCO3 in water will be decomposed into lower soft carbon during cooking. Calcium bisulfate is not easy to accumulate on the wall, on the contrary, it is easy to be carried away by water. Moreover, the degree of polymerization of water will be increased, and the dissolved solid material will become finer particles. When the particles are refined, the distance between the two ions is relatively small, so it is not easy to condense on the wall, so as to achieve the effect of scale removal. Because of the different geographical environment and mineral content in water, harmful substances in water greatly affect our life and health. Calcium and magnesium salts in water are insoluble, which affect the absorption and Photosynthesis of animals and plants. The practice and scientific experiments have proved that samarium-cobalt magnetization in “Wokai” can change the physical properties of water, such as surface tension, density, and solubility. Rare earth magnets have a significant impact on the chemical properties of acid and alkali. Magnetized water can increase the activity of enzymes in water and the permeability of biofilm. Regular drinking not only strengthens the healthy function of the body but also regulates the microcirculation system of the human body. Integrate, digest, endocrine and neurological functions, improve human immunity, prevent and treat a variety of diseases. After high-intensity magnetization, water molecules are activated and oxygen content is high. 1. Neurological diseases: insomnia, neurasthenia, headache, etc. 2. Osteoarticular muscular system diseases: cervical spondylosis, hyperosteogeny, periarthritis of shoulder, lumbar muscle strain, herniation of intervertebral disc, etc. 3. Others: hypertension, insufficient cerebral blood supply, slow cerebral blood flow, cerebral infarction, bronchitis, asthma, hemorrhoids, constipation, and other systemic diseases, as well as the pain and numbness caused by these diseases. Speakers are one of the electroacoustic materials. The basic material for making loudspeakers is a permanent magnet. Rare earth permanent magnet neodymium alloy is a very good material for making loudspeakers. The permanent magnet generates a magnetic field in the annular air gap of the magnetic circuit through the yoke iron, and the voice coil connected with the speaker paper basin is inserted into the annular air gap. The permanent magnet is surrounded by the external yoke iron, thus avoiding the interference of the external stray magnetic field. In turn, it can reduce the influence of the magnetic field of the permanent magnet on the outside world. When the sound passes through the magnetic field in the form of current, the coil is formed. It will produce different frequencies of vibration due to the change of current intensity, and then drive the paper basin to emit different frequencies and strong sounds. 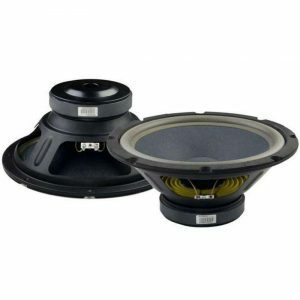 The use of rare earth permanent magnet NdFeB instead of traditional ferrite or AlNiCo magnets can not only improve the sensitivity of loudspeakers but also greatly reduce the number of magnets used. The loudspeaker’s two favorite magnet materials are neodymium magnet and ferrite. Both are very strong, but they come with their own unique features. NdFeB has the advantages of high-cost performance and good mechanical properties, while its disadvantages are low Curie temperature, poor temperature characteristics and easy to be powdered and corroded. The manufacturers of bass headphone loudspeakers must adjust their chemical composition and adopt surface treatment methods to improve them. 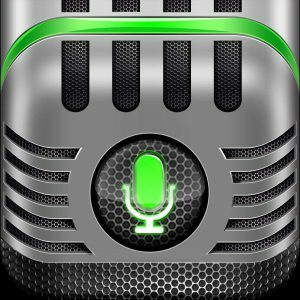 Only in this way, can the manufacturers of medium and high-pitch headphone loudspeakers meet the requirements of the practical application. NdFeB belongs to the third generation of rare earth permanent magnets. It has the characteristics of small size, lightweight, and strong magnetism. 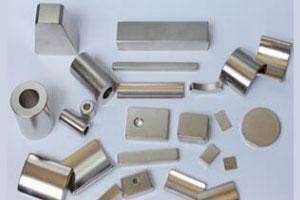 It is a magnet with good performance-price ratio and is known as the king of magnets in the field of magnetics. The advantages of high energy density make NdFeB permanent magnets widely used in modern industry and electronic technology. In the bare magnetic state, the magnetic force can reach about 3500 Gauss. Ferrite is a kind of metal oxide with ferromagnetism. As far as electrical properties are concerned, the resistivity of ferrite is much larger than that of metal and alloy magnetic materials, and it also has higher dielectric properties. The magnetic properties of ferrite also show higher permeability at high frequencies. Therefore, ferrite has become a non-metallic magnetic material widely used in the field of high frequency and weak current. Ferrite is a kind of non-metallic magnetic material. It is a composite oxide of magnetic ferric oxide and one or more other metal oxides. The magnetic force is usually 800-1000 Gauss. It is often used in loudspeakers and other instruments. Samarium cobalt magnet is one of the rare earth permanent magnets. It includes SmCo5 (1:5), and Sm2Co17 (2:17). Compared with neodymium magnets, the biggest feature of samarium cobalt magnets is that it has superior anti-corrosive and oxidation resistance. So they don’t need any coating. Due to excellent properties, we can hardly see any SmCo magnet in daily supplies. They are mainly for use in aerospace, national defense, microwave devices, communication, medical equipment, instruments, and meters, all kinds of the magnetic transmission device, sensor, magnetic processor, and voice coil motor, magnetic crane. The BH(max.) ranges from 16 MGOe to 32 MGOe. So it is the only one type of rare earth magnet that can be close to low grade sintered neodymium magnet. Meanwhile, the high-temperature resistance of SmCo magnet is from 250℃ to 350℃, the Curie temperature is from 700℃ to 840℃. That’s what makes the SmCo magnet different – high magnetic property, high working temperature. But if you need a coating for nice appearance or enhance anti-corrosive performance, they can be plated with nickel, zinc, gold, or epoxy or other coatings. In regard to SmCo magnet application, they are used chiefly in a very complex working environment because of good magnetic stability. So they are very suitable for manufacturing various high-performance permanent magnet rotor. NdFeB magnets are widely used in automobile motor, servo motor wind turbines, robot, and the elevator, air conditioning, speakers, etc. 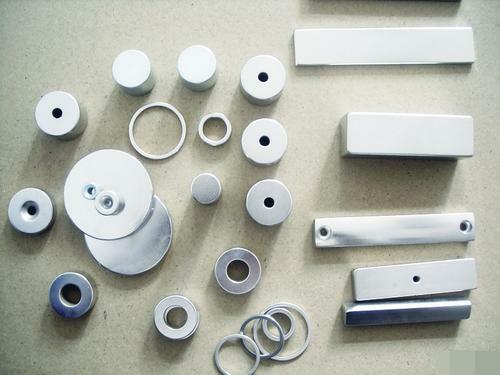 Rare earth magnet is widely used in the new energy vehicle market, the quality of magnet affected by the model, the design idea and other various aspects of the automobile. Since the outer ring of permanent magnets, the rotor will, therefore, operate as provided on the outer side of the stator. Typically a rotor of new energy automobile has a generator stator combination use, and this serves as the outer ring of the rotor. More than 30 parts of general motors vehicle use rare earth permanent magnet, and there are more than 70 parts of luxury cars need to use rare earth permanent magnet materials, a fully automatic advanced car need about 0.5 kg – 3.5 kg. NdFeB magnets rare earth permanent magnet material on new energy vehicles, each hybrid electric vehicle (HEV) to use more 5 kg of neodymium magnet than the traditional car; Pure electric vehicles (EV), rare earth permanent magnet motor has replaced the traditional generator. All the above permanent magnets can be used on magnetic coupling and magnet rotor. But neodymium iron boron is the most widely used magnetic material due to high magnetic energy product (BHmax) and intrinsic coercive force. When under high working temperature (above 200 degrees Celsius), you can use SmCo magnet which can reach 250 to 300 degrees Celsius. What is a permanent magnet motor? Permanent magnet motor uses a permanent magnet to generate the magnetic field of the motor without excitation coil or excitation current. It has high efficiency and simple structure. It is a good energy-saving motor. With the advent of high-performance permanent magnet materials and the rapid development of control technology, the application of permanent magnet motor will become more extensive. Neodymium magnets are widely used in permanent magnet motors. What are permanent magnet motors? 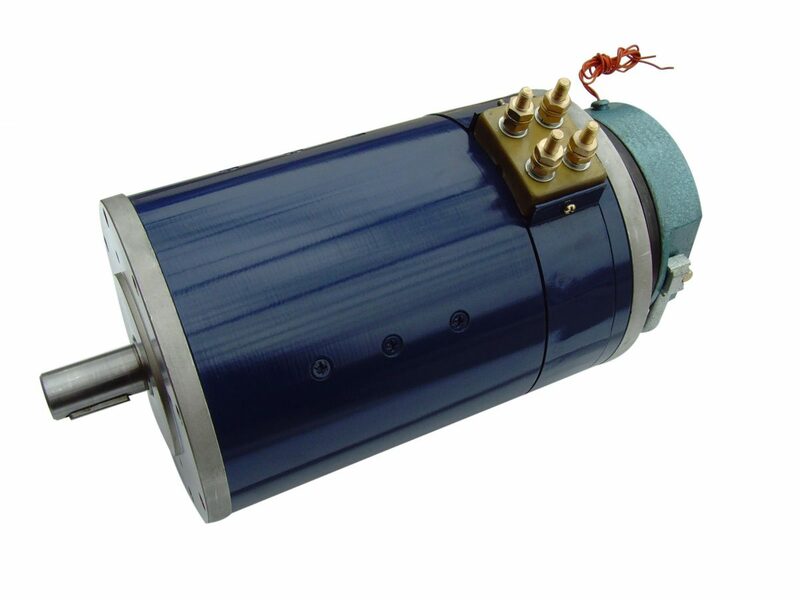 Permanent magnet DC motors include: brush DC motor, brushless motor, stepper motor, etc. Permanent magnet AC motors include: synchronous permanent magnet motor, permanent magnet servo motor, etc. What are the benefits of rare earth permanent magnet materials? 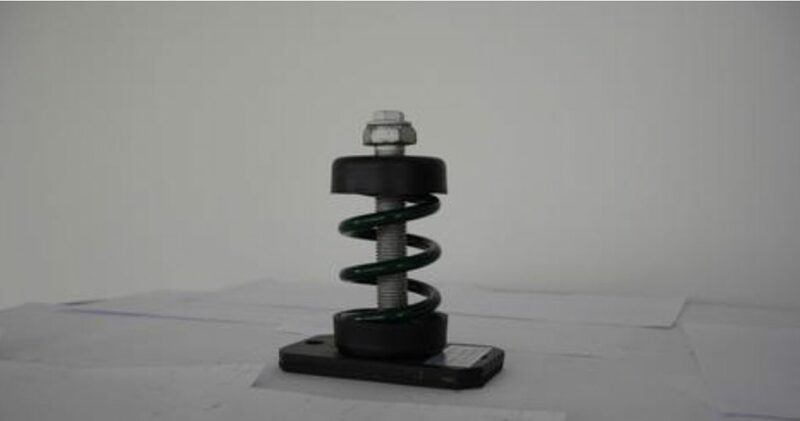 Because of the excellent magnetic properties of rare earth permanent magnet materials, a strong permanent magnetic field can be established without additional energy after magnetization. The rare earth permanent magnet motor made by replacing the electric field of the traditional magnet rotor is not only efficient, but also simple in structure, reliable in operation, small in size and light in weight. It can not only achieve the high performance (such as super high efficiency, super high speed, super high response speed) that traditional electric excitation motors cannot match, but also make special motors which can meet the specific operational requirements, such as elevator traction motor, automobile special motor, etc. How is a permanent magnet motor used in the automotive industry? The automotive industry is the largest user of permanent magnet motors. The motor is the key component of automobiles. In a super luxury car, there are more than 70 motors for various purposes, most of which are low-voltage permanent magnet DC micro-motors. Starter motors for automobiles and motorcycles can be reduced by half by using Nd-Fe-B permanent magnets and decelerating planetary gears. 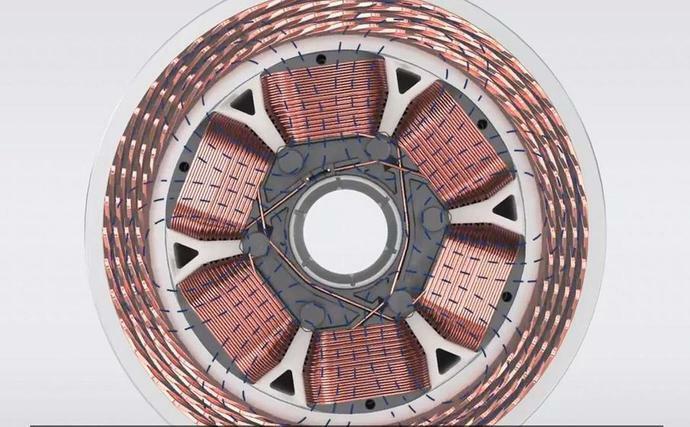 The combination of rare earth permanent magnet motor (REPM) with power electronics and computer control technology has improved the performance of the motor and transmission system to a new level. Therefore, improving the performance and level of the technical equipment is an important development direction for the motor industry to adjust its industrial structure. What are the other applications of permanent magnet motors? Rare earth permanent magnet motors are widely used in aviation, aerospace, national defense, equipment manufacturing, industrial and agricultural production, and daily life. It includes permanent magnet synchronous motor, permanent magnet generator, direct current motor, brushless direct current motor, AC permanent magnet servo motor, permanent magnet linear motor, voice coil motors, special permanent magnet motor and related control system, covering almost the entire motor industry. With the rice cooker, IH technology is bound to use a magnetic material (including neodymium n52, cobalt, nickel, etc. ), many domestic and foreign manufacturers in the development and mass production of IH rice cookers, which means rare earth magnet demand will be increasing. This product canceled the heating plate of the traditional rice cooker, instead, an electromagnetic coil, mounted on the inner portion and the bottom of the pot between the insulation cover, using electromagnetic induction heating to cook food, so that the inner pot is both a carrier and heat generation. IH rice cooker is not only fast and uniform heating, but also in environmental protection, service life and safety performance also has unique advantages, it will be the future development trend of the rice cooker. It works by generating a frequency of 20-40 kHz high-frequency alternating current through the control circuit, the high-frequency current flowing through the solenoid will produce rapid changes in alternating magnetic field,When an alternating magnetic field lines close through the magnetic field near the custom magnet (iron, cobalt, nickel) will drive the material’s microcrystalline structure of the metal, thus producing countless small eddy, and then let the metal material microstructure friction between itself and its own fever, achieve the purpose of non-contact heating of the metal material.